Survey includes twenty-one questions for employees in the following five categories: Demographics, Merger Announcement, Between Announcement and Close, During the Integration, and Overall. 1. Were you employed by the Acquirer or the Acquired Company before the acquisition? 2. 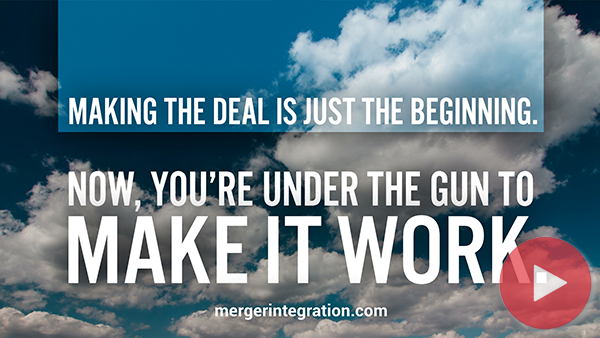 Had you ever been through another merger before this deal? 3. What was your primary location at the time of the announcement? 4. Have your job duties changed significantly since the closing of the deal? 5. How and when did you receive formal notification of the deal? 6. Had you heard specific rumors about the merger before you were formally told about it?